Frolicking, giddy to announce my latest post: HOLISTIC BEAUTY EXPERIENCE CONTEST! 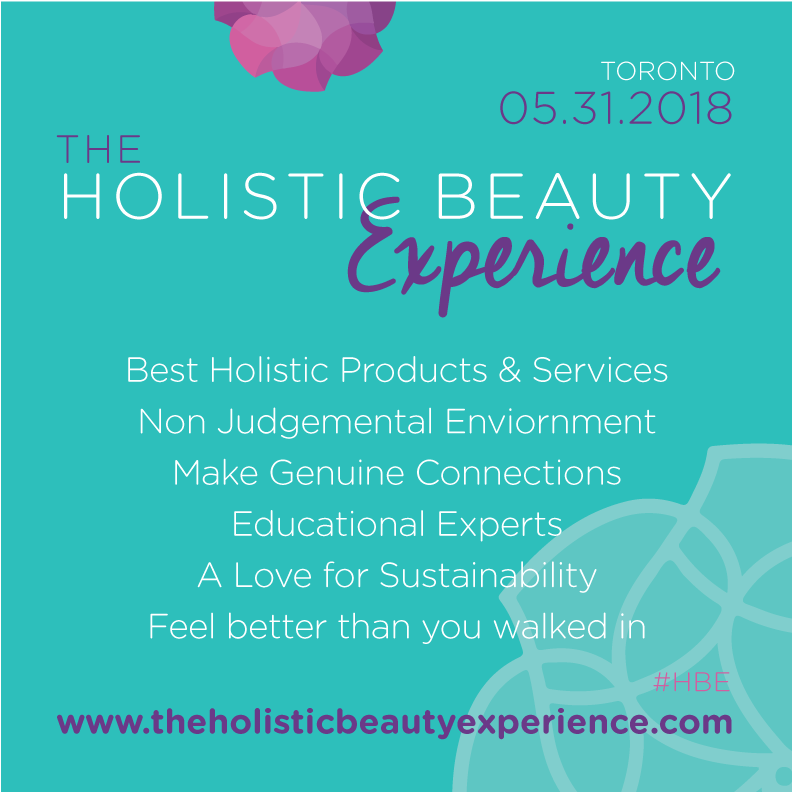 This eco-event is taking place in Toronto, Ontario CANADA, May 31st, 2018. Catch all the details in my video/vlog below! WHAT IS #HBE? WATCH MY VIDEO! Please drop me a “LIKE”, a “COMMENT”, or even better “SUBSCRIBE”! Your skin will thank you! TO ENTER CONTEST SCROLL DOWN! This “experience” was created out of love, for any GREEN BEAUTY or HOLISTIC FAN! It’s a day when, caring Canadian brands, come together for: SKINCARE, SELF-CARE, & SELF-LOVE! Anyone gracing #HBE can expect to learn, how to nourish oneself. A whole day of empowerment, meant to UPLIFT, EDUCATE, INSPIRE and SUPPORT one another! 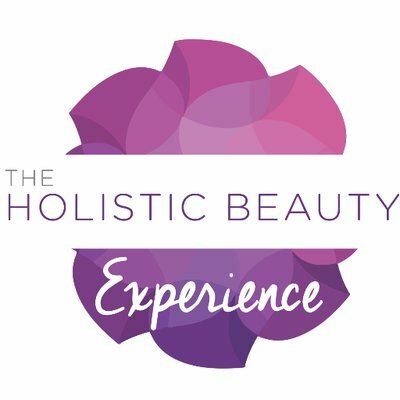 More to come… Keep checking back on THEHOLISTICBEAUTYEXPERIENCE.COM new companies are constantly being added! Berkeley Church, 315 Queen St E.
ALL DETAILS can be found on TheHolisticBeautyExperience.com via the “SHOP” tab. I’ll be drawings 6 tickets (3 sets of 2 tickets– no one wants to go alone lol) over the next several weeks, leading-up to the event! SCROLL DOWN TO THE ENTRY FORM BELOW (via Rafflecopter.com)! Watch amazing key speakers, learn holistic practices, and clean-up your skin care, all in one day! Arm twisting not necessary… Thank you Andrea for including me on your amazing day! I’ll BE FILMING THE ENTIRE EVENT WHICH WILL BE POSTED TOO! Happy to share all the beauty with anyone who misses this lovely day! 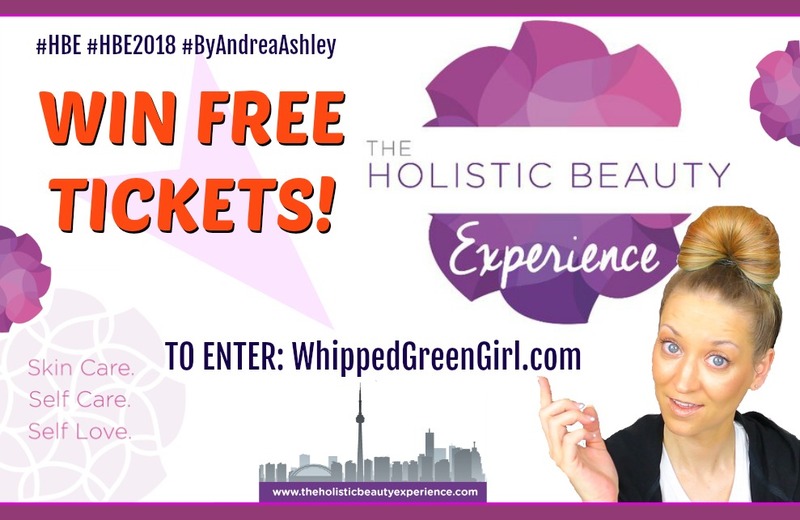 NOW GO ENTER THE CONTEST & WIN TICKETS TO THE HOLISTIC BEAUTY EXPERIENCE CONTEST! Rules/Legal Stuff: No purchase necessary. 3 sets of 2 ticket winners (total of 6 tickets) will be randomly selected (contest runs from April 2018 to May 2018). OPEN TO CANADA ONLY! 18yrs of age or older. Names of winners will be provided to AndreaAshley.ca by WhippedGreenGirl.com. Winners will be contacted directly. WhippedGreenGirl.com will not distribute, share, or collect your personal information. 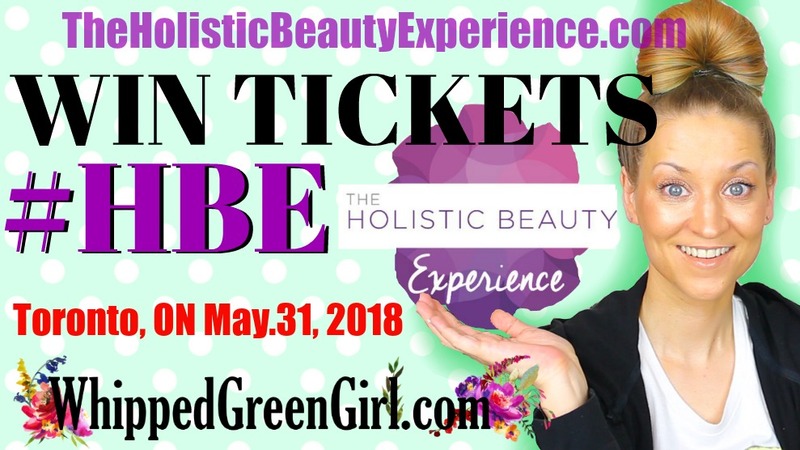 Information collected will be used solely for the purpose of this contest (AKA one of few contests YOU WILL NOT get spammed for entering…) Thanks for checking out my “Holistic Beauty Experience Contest”! Good luck… Roll the dice!